The FDA recently announced new guidelines that would effectively ban the sale of fruity and other kid-appealing vaping products at convenience stores, gas stations and locations where minors frequent. The restrictions apply to flavored products like cherry, bubble gum and cotton candy, but not to tobacco, mint or menthol-flavored e-cigarettes, which are flavors geared toward adults who are trying to quit smoking, the FDA said. Companies that violate the new regulations would be subject to FDA enforcement actions — including having their products removed from the market, the FDA said. 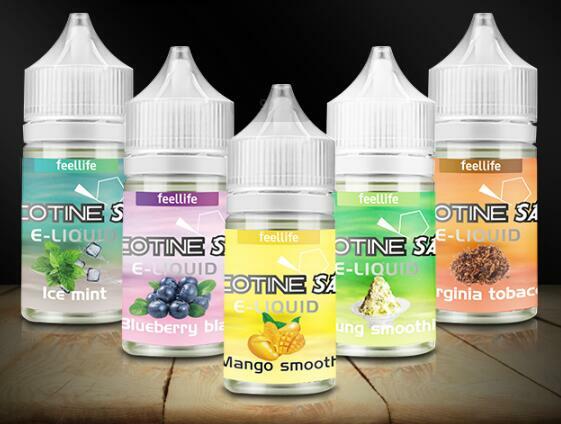 In November, the FDA announced the new restrictions on the sales of flavored e-cigarettes. The agency announced a formal proposal last week, outlining the potential e-cig rules and opening up the new guidelines to public comment for 30 days. Holding two boxes of Juul pods, Ferguson called the “intentions” of the FDA policy “legit,” but also questioned the decision by the FDA to still allow mint and menthol flavors. He also questioned the effectiveness of the new law. The American Heart Association called the FDA’s exemption for mint and menthol flavors a “major oversight,” and added that the Tobacco Regulation and Addiction Center found that menthol was the second-most popular e-cigarette flavor among teens, Bloomberg reported. Outgoing FDA Commissioner Scott Gottlieb said the new guidelines were made to combat “an epidemic” of underage vaping. He added that 27.7 percent of current high school e-cigarette users vape regularly — 20 or more days in the past month — and that 67.8% percent are using flavored e-cigarettes. Both these numbers have risen significantly since 2017. Vape users told the Daily Press the move by the FDA will force consumers to buy flavored product at smoke shops, online stores, permitted dispensaries and at locations that bar minors or have separate adult-only sections. “Who’s going to be policing the smoke shops?” Ferguson said. In November, several vaping groups said the e-cigarette restrictions would be harmful to smokers trying to kick the habit. “This reported move by Commissioner Gottlieb will only make it harder for adult smokers to switch to a far less harmful alternative,” said Gregory Conley, president of the e-cigarette group American Vaping Association. The FDA is also moving up by a year to August 2021, the deadline for companies that make e-cigarettes that came to market after February 2007 to submit applications for marketing clearance from the FDA. Based on some applications, some devices may come off the market. The public will have 30 days to comment on the guideline, which will take effect 30 days after it is finalized, Bloomberg reported. The San Francisco-based Juul Labs Inc., the vaping industry leader whose thumb-drive-size devices are popular with teens, said in November it would stop selling most flavored nicotine pods in retail stores. The FDA has the “strong support” of President Donald Trump and Health and Human Services Secretary Alex Azar, Gottlieb said in a statement. Health advocates were concerned that Gottlieb’s departure would threaten the likelihood of e-cigarette restrictions being finalized. Azar said Tuesday that Ned Sharpless, head of the National Cancer Institute, would be acting commissioner after Gottlieb leaves later this month. Sharpless has expressed support for Gottlieb’s vaping restrictions.